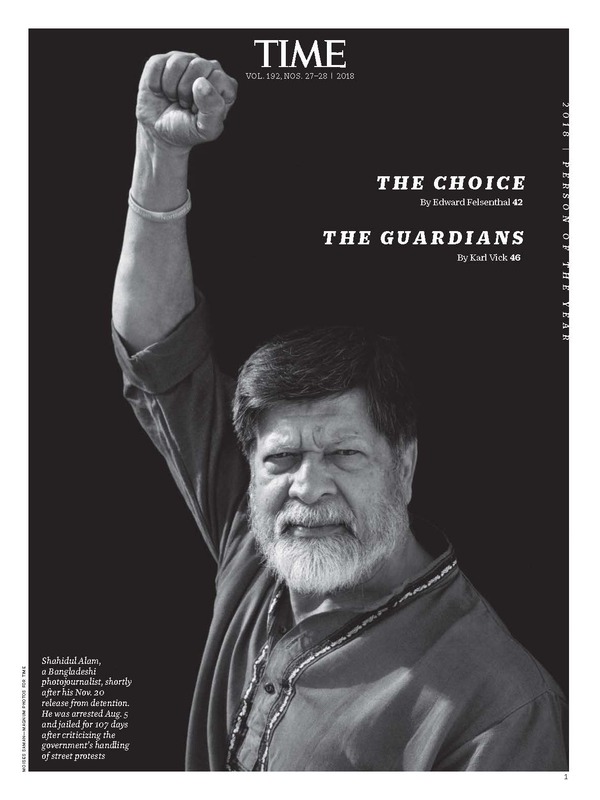 Photojournalist and activist Shahidul Alam speaks out about the effects of his detainment on Dhaka’s Chobi Mela Festival, and how the event still plans to persevere for years to come. 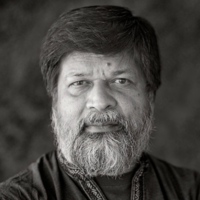 The year 2018 is one that Shahidul Alam, and the wider international photographic community, will not forget so easily. In August last year, just hours after an interview on Al Jazeera where he openly criticized the Bangladesh government’s violent response to student protests, Alam was forcibly taken from his home by the Dhaka Metropolitan Police and arrested. While remanded, Alam was interrogated and beaten. Following a significant outpouring of support and pressure from Amnesty International, the Committee to Protect Journalists, Reporters Without Borders and other Bangladeshi and international organizations and notable figures, Alam was released after spending 107 days in prison. 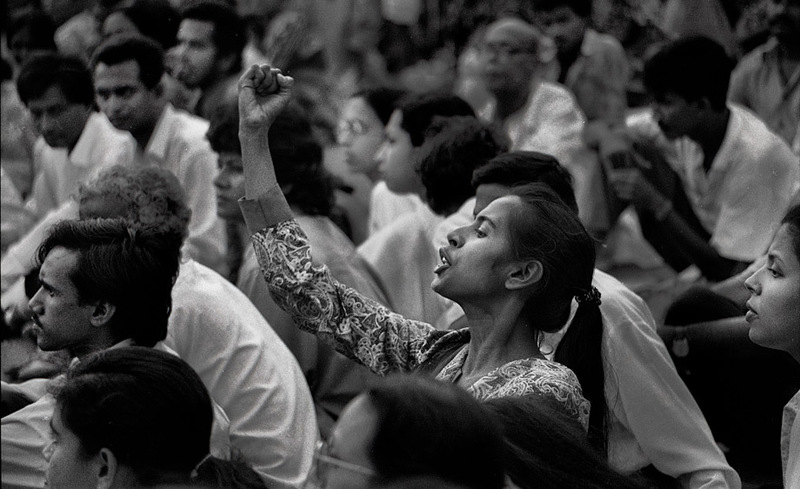 As a widely respected activist, photojournalist and academic, Alam is most prominently known as founder of the Drik Picture Library, the Pathshala South Asian Media Institute and the biannual Chobi Mela Photography Festival in Dhaka, Bangladesh, which returns on February 28th of this year for its tenth edition. In one of his first major interviews since the events of late last year, Alam talks to Daniel Boetker-Smith about the upcoming festival, the political power of photography, and the state of the medium in Bangladesh, South Asia and beyond. DBS: Given recent events that we have all followed closely, how has planning for this Festival been different to previous years? I bleed red blood, as flows in your vein, Is there a place in your heart for me? I just got back from the third Dhaka Art Summit (DAS) in?the Bangladeshi capital. DAS is the?brainchild of Nadia and Rajeeb Samdani, a young collector couple based in the city; it?s not a biennial, nor an art fair or a festival, but an?intense four-day summit. For it?s third edition, the Chief Curator of DAS, Mumbai-based Diana Campbell Betancourt, decided not to focus on a particular theme per se but on the South Asia region as a?whole, which in itself is a contradictory concept. (What exactly is South Asia? Is Australia a part of it? Sri Lanka? Iran?) She engaged several curators, including me; I was invited to organize an exhibition for the Samdani Art Award, which is given to a Bangladeshi artist between the ages of 20 and 40. Back in October 2015, I had spent a week in Dhaka meeting the 20 artists who had been shortlisted for this award by Aaron Cezar, director of the London-based Delfina Foundation. From my very first conversation with the artists, I?sensed that?we?were at the beginning of an extremely interesting week. I learned a lot about Bangladesh ? the local scene, art education, religion and why, for instance, art?works about love do matter. Some artists I met mentioned that their partner was either Hindu or?Muslim and that they could not tell their respective families. As the?week went on, I became increasingly enthusiastic about the obvious sense?of urgency with which all of the nominated artists work: Bangladesh is rapidly changing on all levels, and?these artists are all embracing the challenge to get involved, to have their voices heard and to find appropriate forms of?expression for that. Imagine being told you have only ten more days. To love, to live, to celebrate, to cherish, to repent, to ponder. Perhaps ten weeks, maybe months. Perhaps you have cancer, or you are on someone?s hit list. Or you have just been sentenced.Perhaps someone thousands of miles away will press a button. Perhaps you are in jail, being tortured. Perhaps death to you is a release, and end to pain, an ?acceptable price for your belief. Let?s move to happier thoughts. Perhaps you will start a new life. Maybe your first child is about to be born. You have crossed many miles and you near land. You see sunlight after years in solitary confinement. You bathe in rain after months of drought. Maybe you have a discovery that will transform the way we live. Are you at a fork in your life as an artist? Have you embraced another medium, has someone given new meaning to your work? Is there a new visual language that will help interpret your world? Perhaps you are seeing, or hearing for the first time. Maybe you are in love.Perhaps years of research have unearthed hidden wonders in the artistic space you walk on? Have you found a sparring partner, who stretches you to the limits of your potential? Is there a new way of seeing? Does your artistic journey, bring new relevance to the work you produce? Are you ready to emerge, as a butterfly from a chrysalis, momentarily waiting for your wings to dry? Are you a curator whose interpretation has caused the world to look at a body of work anew? Are you on the other side of the fence, seeing what artists within have forgotten to see?? Are you prepared to take on the complexities of seeing, when doors are closed, minds are locked?? Perhaps space is your forte, and you work with the physicality of a venue, producing site-specific work that is ephemeral in its form, but eternal in its concept. Are you tied down by the shackles that define photography, or are you prepared to take flight, going outside the boundaries, reaching out to the periphery, unearthing the unknown? Are you the old or the new, or do you not accept such definitions? Does your visual space extend to the non-visual, do you hear, touch, feel through your eyes? Is your photography trapped between the corners of a two dimensional frame, or will new relationships between dimensions be the catapult that releases your art? Do pixels move you? Are you married to grains of silver? Are objects found and unearthed, part of your domain? Does the white cube encumber you? Do you seek open spaces? In spirit, in mind,in form. Are you able to connect the dots? Are you the artist, the curator, the scientist, the historian, the editor, the journalist, the collector, who will find the magic that will take photography to new heights? Who will tell your story? Share your thoughts, cherish those moments. Who will help you live after you die? Who will hold your hand as you dance naked in the sun, wear bright colours, sing out loud? Are you the storyteller who visualizes a changing planet? Chobi Mela,?the first festival of photography in Asia, is one of the most exciting ventures that Drik and Pathshala has initiated. The first Chobi Mela ? 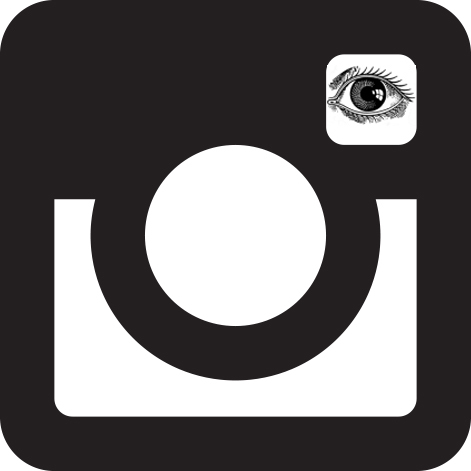 International Festival of Photography was held December 1999 – January 2000. It is the most demographically inclusive photo festival in the world and is held every two years in Dhaka. 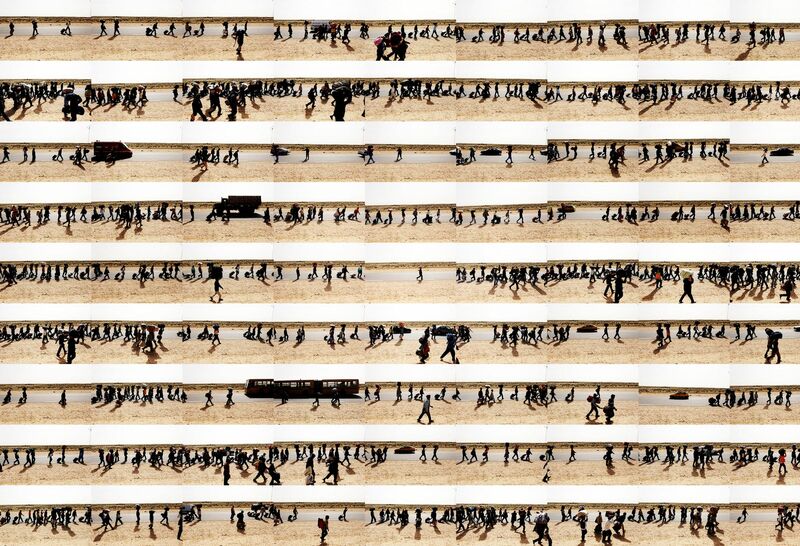 Documentary photographer?Rasel Chowdhury beat out 300 other applicants to win this year’s?Samdani Art Award. The winner was announced today?at the Dhaka Art Summit,?which is curated by Diana Campbell Betancourt. ?It is the largest showcase of South Asian contemporary art in the world. Introduction to the Drik 2016 calendar. The dot matrix Olivetti printer was noisy. The XT computer came without a hard drive: two floppy disks uploaded the operating system. When the electricity went (as it often did), we had to reload it. Our bathroom doubled as our darkroom. A clunky metal cabinet housed our prints, slides, negatives and files. Md. 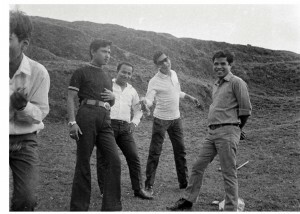 Anisur Rahman and Abu Naser Siddique were our printers; I was photographer, manager, copy editor and part-time janitor. Cheryle Yin-Lo, an Australian who had read about us in a western magazine, joined as our librarian. We offered and she happily accepted a local salary. 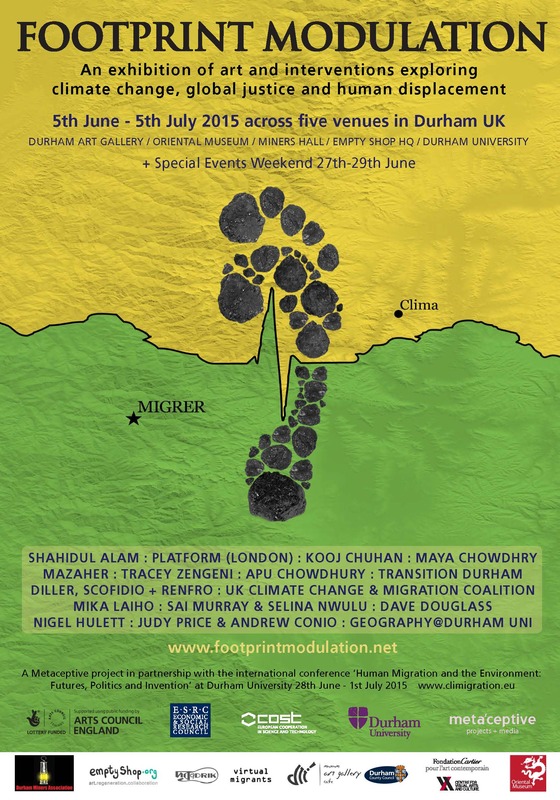 International artists, researchers, communities and local activists are combining forces using art to push climate change up the agenda in a ground-breaking exhibition titled Footprint Modulation. The exhibition focuses on the massive and increasing impact that climate change will have on humans by forcing us to abandon our homes and migrate. The renowned, award-winning Bangladeshi photographer Shahidul Alam presents work for the first time in the North East. Platform based in London use film and performance to highlight the corruption within global oil. 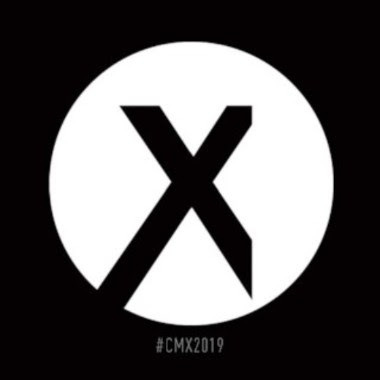 A number of UK-based artists from diverse backgrounds provoke us to connect with human realities in other countries. The New York based architecture and digital art company Diller Scofidio + Renfro present a film commissioned by the Cartier Foundation to artistically re-interpret data about climate migration. IDLO’s photo exhibition “In Focus: Justice and the Post-2015 Agenda” will form part of this year’s initiative by the Italian Ministry of Foreign Affairs and International Cooperation to open its doors to the general public. From 22 until 29 May 2015, visitors will be able to participate in “Farnesina Porte Aperte” and view the exhibition during guided tours of the building. The Farnesina’s art collection is internationally recognized, and IDLO is proud to have been chosen to exhibit alongside this. The photographs were also featured by The Guardian. Curated by IDLO and the photo agency Majority World, the exhibition focuses on the challenges of development and the rule of law. From gender equality and indigenous rights to energy poverty and land tenure, it presents the rule of law as lived experience. The pictures vividly explore the human side of the rule of law and its importance in everyday life. 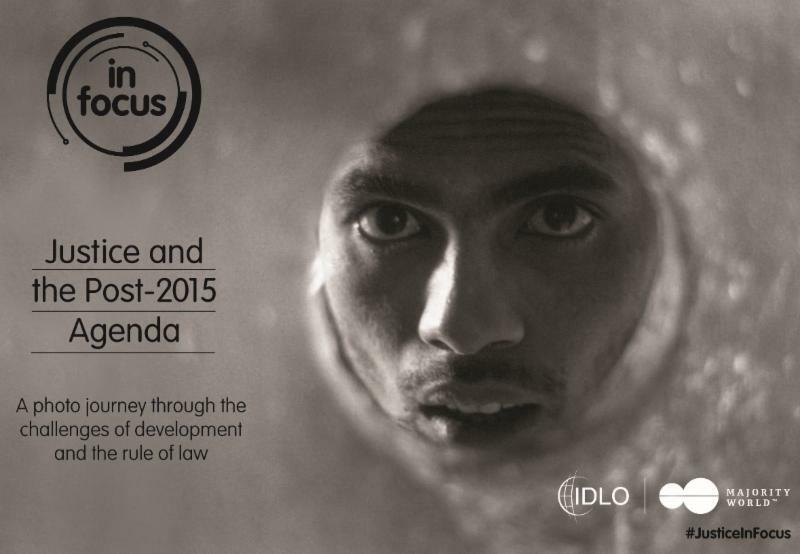 ?In Focus: Justice and the Post-2015 Agenda? illustrates these themes through 32 images – taken by photographers from Afghanistan, Bangladesh, Brazil, India and Kenya – ranging from the Amazonian settlement of Colniza, Brazil, where rule of law measures have reversed illegal logging and deforestation, to the energy-starved metropolis of Kibera, Africa?s largest slum. To sign up for a guided tour, please visit the Ministry of Foreign Affairs and International Cooperation?s Farnesina Porte Aperte website and choose the ?art route?, currently available from Monday 25 until Wednesday 27 May. Before traveling to Rome, the exhibition was shown at the Palais des Nations in Geneva, to coincide with the 28th session of the United Nations Human Rights Council. Over the coming months, it will be shown in Milan, New York, Washington and The Hague, and will return to Rome for an exclusive viewing in November. For more information, please read this article in Italy’s Corriere della Sera,?visit theIDLO mini-site and watch video interviews?with the photographers. 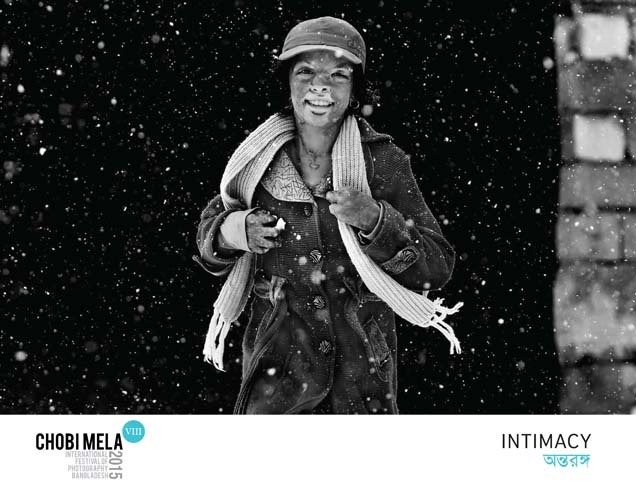 Author Shahidul AlamPosted on January 5, 2015 Categories Arts, Bangladesh, culture, Pathshala, Photography, Shahidul Alam, South AsiaTags Arts, Bangladesh, Chobi Mela VIII, culture, Festival, Photography, Visual Arts2 Comments on Drik's 2015 Calendar: "Intimacy"